238 here in Cypress, California, best known as Tiger Woods' birth city. Lol. Absolutely love this watch! Thanks Eddie! Last edited by gshock626; 4th July 2014 at 07:54. ^^^^ Great Photo! Its an amazing piece… think I'll get mine on next week. Thanks! Yes it is amazing. I can't stop staring at it. Been eyeing this piece for months. Glad I finally placed the order. Oh and 48 by the way in Cambridge! Everyone's been added - have a great weekend all. Anyone have any ideas on toning down the lume pip? Last edited by barryw; 5th July 2014 at 03:06. Number 201 reporting for duty. PS. ralphy, that thing on the left is ... disturbing! No 113 (not mine) sold yesterday, very quickly, on a French forum sales corner for 500 euros. This wont be a quality post, as im very limited in time. 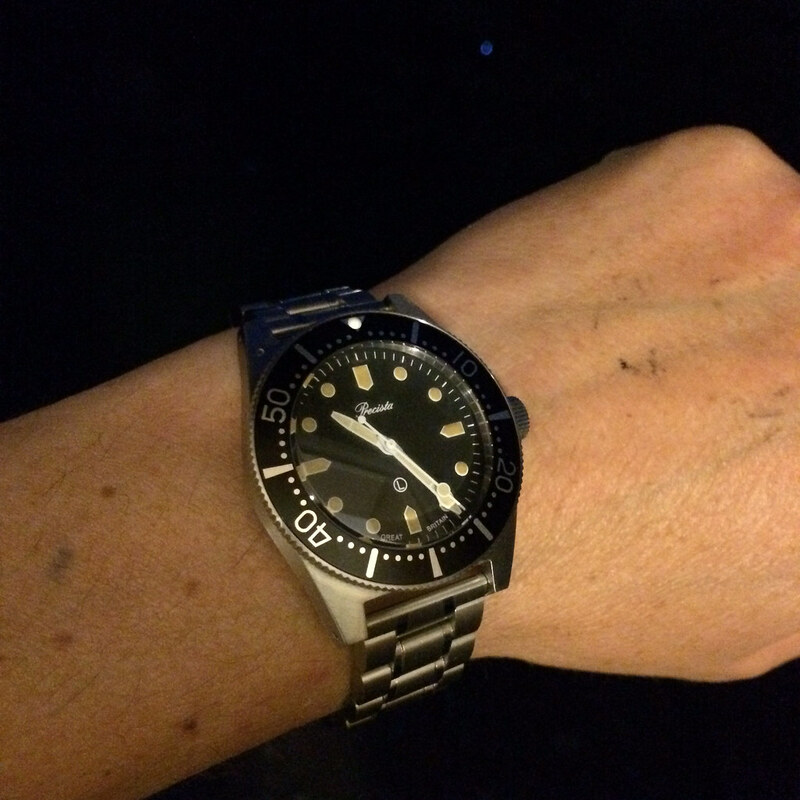 2) practice a little bit, like placing small lume dots on any plastic surface u like. 3) When u feel comfortable everything works fin, remove the existing pip with like a small screwdriver, add a new one. 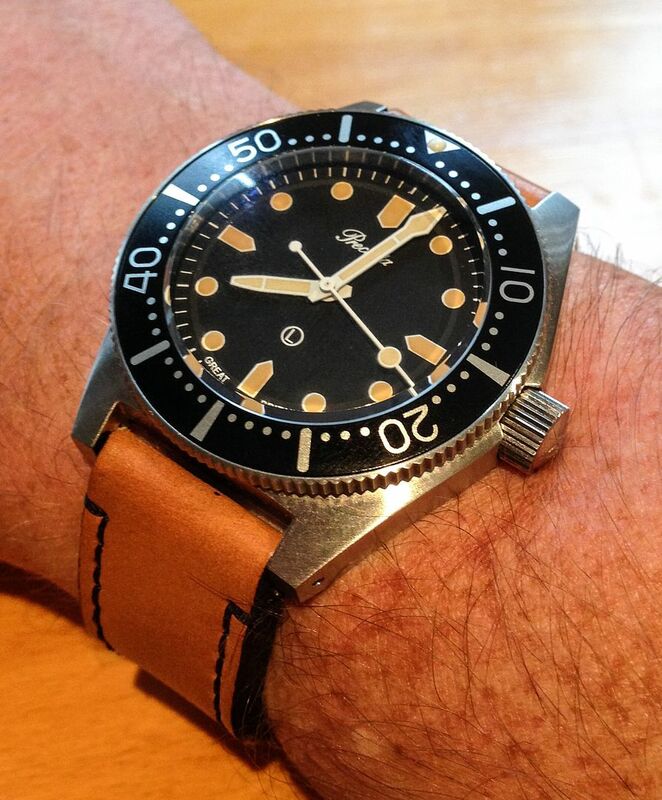 1) I do not own this watch and just speak from general experience. 3) If the colour is not spot on, you may need to purchse a bigger set and have to mix yourself, its very simple. Big set with many colours cost USD 55 as far as I know. 4) the lume dot may shrink when drying, to a less nice form, so one has to apply some more lume etc, to get a really nice pip. 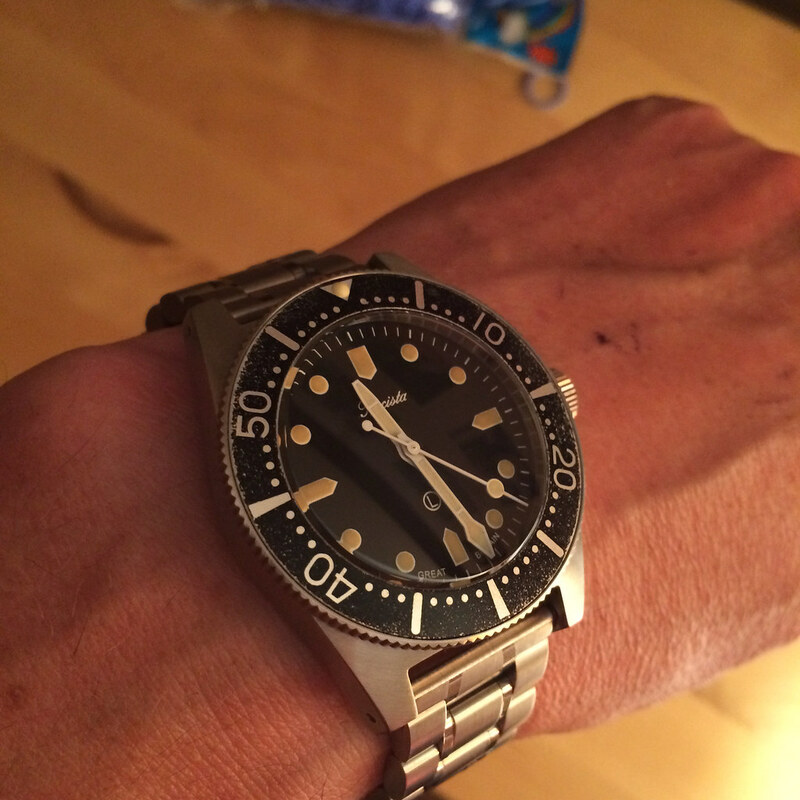 5) the lume is waterresist. Just put mine in the oven and as can be seen above tones the pip down to a similar yellow to the aged Lume! 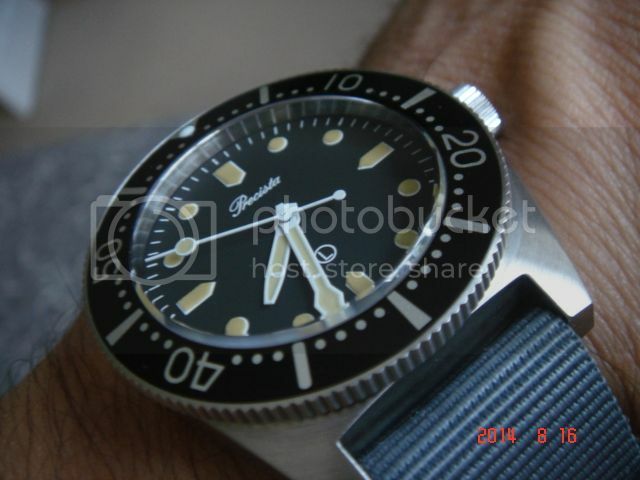 If replaced like in my recommendation, the lume dot would not look as perfectly shaped. I would prefer that. Also, it would not have to be raised. I would prefer that too. The only downsides of the PRS-82 are, in my very personal opinion, the white (and too perfectly shaped, plastic-like looking) lume dot and the too long hands. Otherwise a very tempting watch. Last edited by JMH; 8th July 2014 at 14:32. Neath Valley, Wales and at sea..
Having sold my original 82 to fund a grail, I'm back in the fold again this time with 14050240. This one is running a little slow at the moment (-17 seconds per day) but hoping she'll settle down after a few weeks on the wrist. Would have been nice to have it with me in Turkey last week, I took my MM300 and it's quite a lump on 40 degree C days - the Precista is so much more comfortable and it's nice to know that Roland used a viton gasket on the case back which should be more resilient to anti-mossie sprays etc. Number 232 now with me in Budapest. I have had to exercise some patience as I ordered it in June but had it delivered to my parents so that I could collect it during a rare visit to the UK. Worth waiting for! I guess I have been remiss. I've got #43. No 158 getting ready to do what it does best. Number 213 being cool in the pool. Resides in Copenhagen, Denmark. Last edited by Hartvig74; 17th August 2014 at 12:26. Just to keep the list updated, #76 has moved (with me) to Perth, Western Australia. Looking forward to summer and using it as intended. Sorry, I sent a wrong number (282) 262 is the right one, I urgently need an ophthalmologist. Last edited by Linos; 3rd September 2014 at 15:04. Thanks, all three updates have been entered. Number 158 is in Saudi Arabia (Riyadh) after I picked it up from Manxdiver. 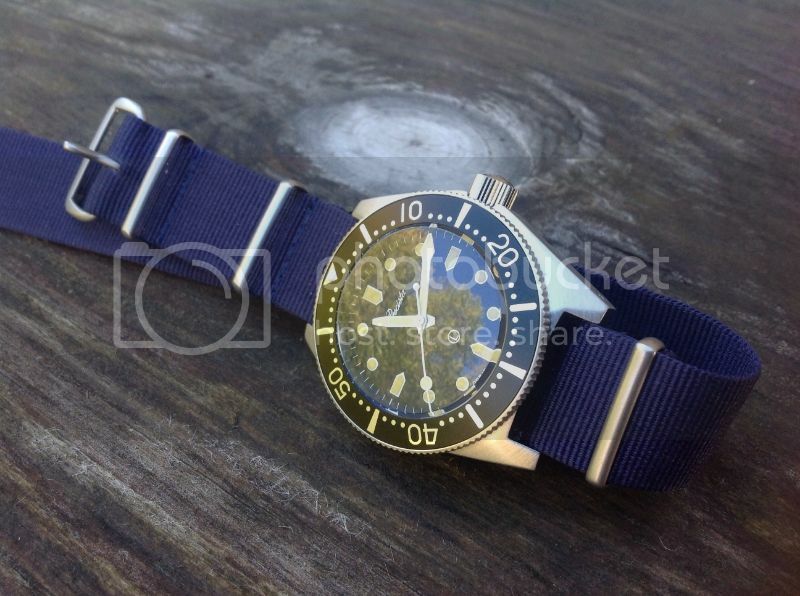 Great watch, must get some pics up. Bit of an over-reaction. A little understanding of Eddie's or any other small business, and the fact that he ships these watches himself would mean you could appreciate that if someone gets an order wrong it's not the owner's responsibility, and he probably doesn't have the time, to go chasing you. I don't know of many businesses that would chase a customer, rather it's up to the customer to get their information right. Something tells me you have an unconscious tendency to get satisfaction from acting as a disgruntled customer and complaining, which in this case has prevented you from getting what you originally wanted; the watch itself. You should know that there is probably another batch of these being released next week. Number 40 emigrated from Wales to Hertford. Thanks Ric! Sorry last thread in wrong place. Aagh! How do I know what number I have? All I've got is number 14050227 on the case and warranty card! Edit: Just ploughed through the later posts and found the answer, so I guess I'm the very happy current owner of #227! Last edited by pinpull; 10th September 2014 at 21:43. Also, #227 resides in Chipping Norton. #227 resides in Chipping Norton. No. 83 still mine, but stolen! If it comes up anywhere, a nod and a wink would be most gratefully received. First post here from a long-time lurker from ... PRS-82 #276 - lovely watch, enjoying some wrist time.